When Summer Miller left The Reader for corporate public relations in the early aughts, little did we know that educational aspirations, bed rest, family needs and life would ultimately send her on a path of renewal that has become the first national-level book on the local food community here on the prairie, complete with 50 or so recipes. To quote the Amazon description, “Author Summer Miller introduces readers to the phenomenal talent emerging from America’s breadbasket: farms that grow asparagus thick as your thumb and tender as a strawberry; dairies that produce fresh, natural milks and cheeses; and nationally recognized restaurants that make these mouthwatering ingredients into edible art. 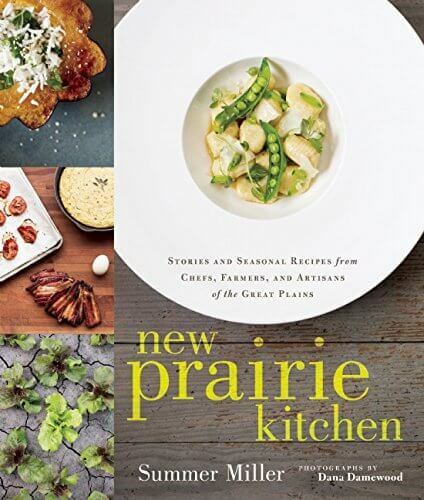 Pioneering chefs across the prairie have taken an old-meets-new approach to their cuisine, sourcing traditional staples from local sustainable farms, and incorporating them into recipes in new and thrilling ways.” Combined with Dana Damewood’s photography, we’re looking forward to a visual, literary and culinary adventure!